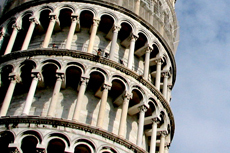 Travel through the historic streets of Pisa and tour the city’s famous structures including the Baptistry, the Cathedral, and of course, the Leaning Tower of Pisa. This is one tour you do not want to miss. This is one tour you do not want to miss. Seeing this landmark is an experience you will remember for a lifetime. You may have seen pictures of the Leaning Tower of Pisa but seeing in person is amazing. Covered the basics of the area and explained the historical importance of Pisa. Covered the basics of the area and explained the historical importance of Pisa. The guide was careful to warn us about pickpockets and to keep them away from our group, which was much appreciated, as they can be insistent. We went to Pisa first then Florence. Lot walking but a great guide and enjoyed climbing the leaning Tower. Coach from ship to Pisa. Again, we had been there before but going with a guide made it so interesting. Again, we had been there before but going with a guide made it so interesting. Loved the echo inside the small baptismal building. It was a long hot walk from the bus park to Pisa. It was a long hot walk from the bus park to Pisa. Once there, however, the sites were great. Well worth visiting Pisa and paying for the walk inside the leaning tower. not enough time in Florence. A simple walking tour of the primary sights in Pisa. A simple walking tour of the primary sights in Pisa. Didn&apos;t expect much and as it was raining cats, glad we didn&apos;t try to do more on this day. We took the free shuttle to the Tourist Info location, then bought. Lots to see (never saw so many umbrella sellers before) with the buildings and were there during a student protest about immigration...the peaceful variety. The stop at Pisa was disappointing. The stop at Pisa was disappointing. Great photo opportunity, but a long walk through a unsavory market of trinket vendors was terrible. One of the ladies in the group had her phone snatched right from her hand! We felt unsafe. Great place but we were only there for about an hour. loved Pisa and we simply took the train, got off and enjoyed the sights and cuisine. Bought a but tour to Pisa at the port. A fair experience I had to make our Tour guide aware of three ladies joining our party ( Pick Pockets) which I confronted and told them that if they didn&apos;t leave I would call the Police. They disappeared quickly. Again, minimal tour of port area. Again, minimal tour of port area. The Pisa tour was the best! good guide. Answered all of our questions about Pisa. Never saw Florence. Thought Viking had time to include more in their excursions.